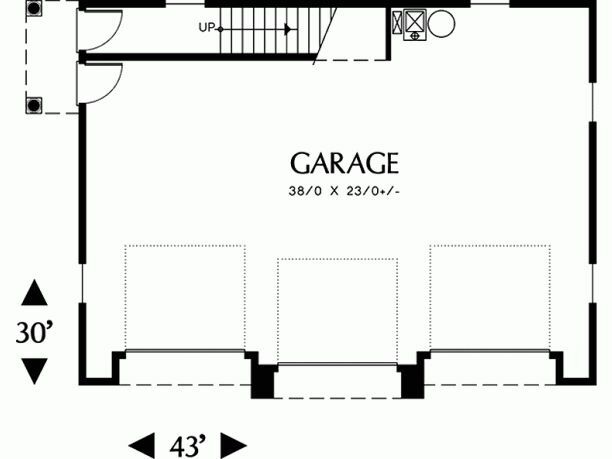 Garages are amazingly useful, especially when your square footage is on the small side. 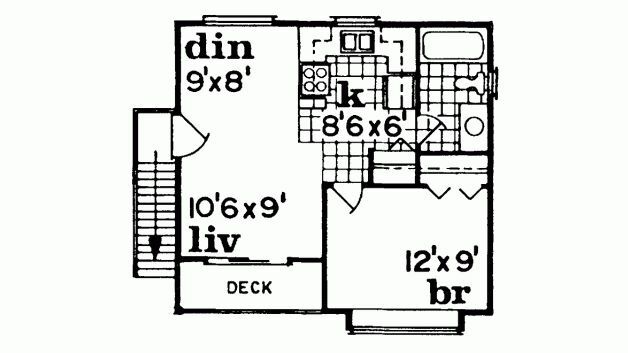 The extra space they provide can make the difference between a comfortable home and a cramped space. 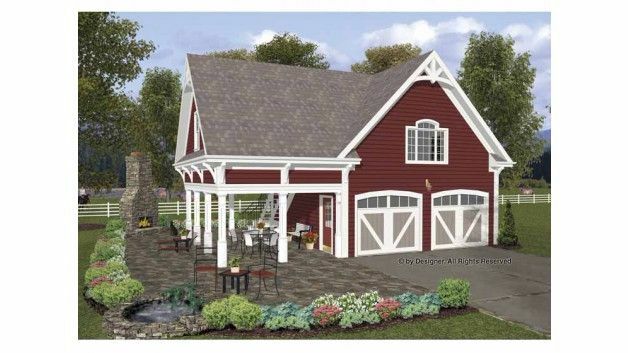 Just because you want to live in a tiny house, doesn't mean you should have to compromise on garage space. 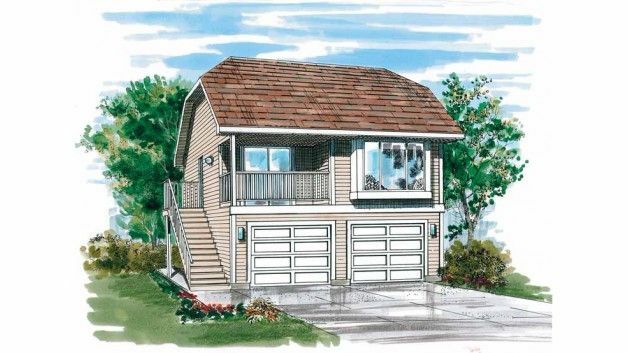 Whether it's to store your car, layout a mechanical passion project or to use as extra room for household items, we've got a collection of tiny houses that include a garage in the plans. 1. 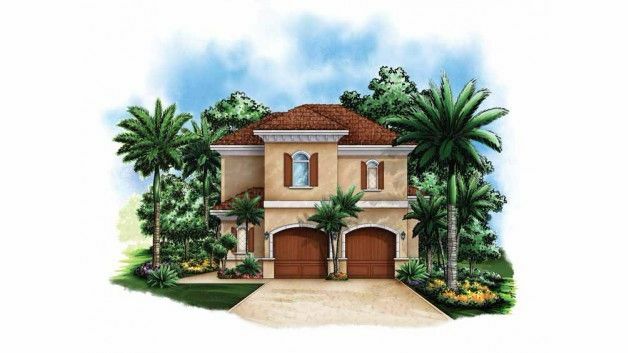 Two car Mediterranean style property by Homeplans. Designed to be reminiscent of Mediterranean architecture, this beautiful home comes in at 839 square feet (78 square meters) and is available for purchase here. 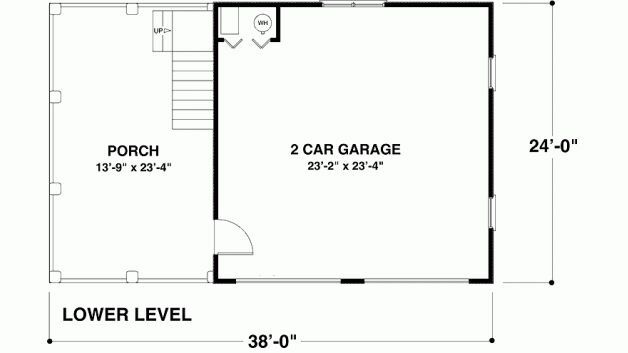 The ground floor garage holds two cars and extra storage for household items, with stairs leading up to the first-floor living area. An open-plan kitchen and living area lead out onto a covered terrace perfect for sunny evening dinners al fresco. The bedroom holds a double bed and shares a hallway with the bathroom for easy accessibility. 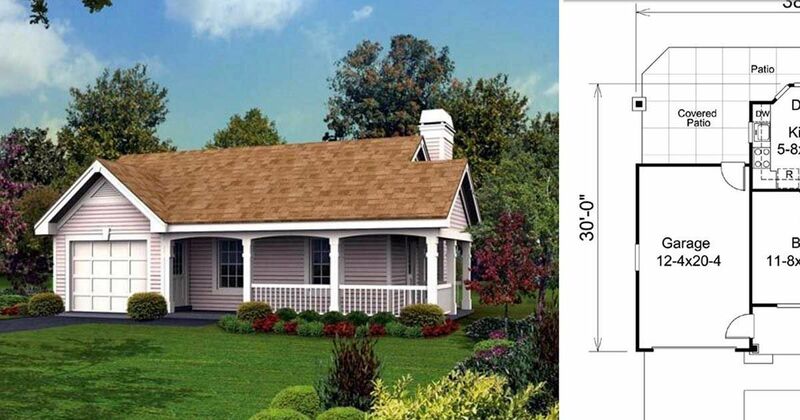 Available here for purchase, and measuring in at 885 square feet (82 square meters), this colonial-style property is a great choice for a small family or a couple that enjoys having guests to stay. 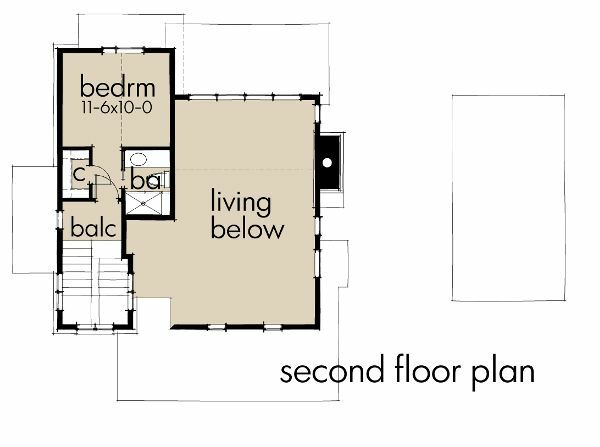 Two bedrooms, each with built-in storage closets are adjacent to the central open-plan living, dining and kitchen area. 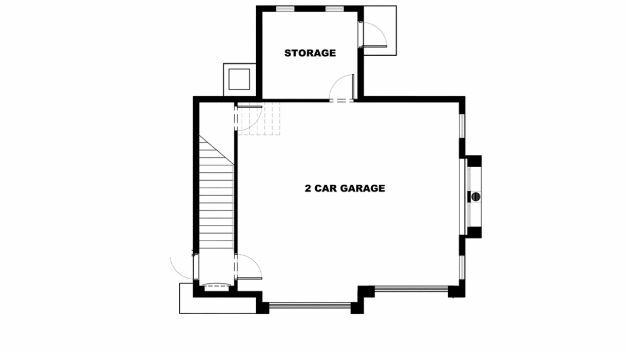 The hallway provides more storage cupboards and the bathroom, as well as stairs leading down to the ground floor three-car garage. 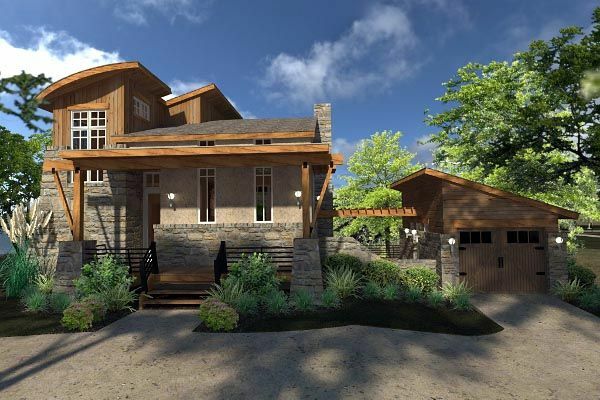 A stunning contemporary take on craftsman architecture, this property comes in at 985 square feet (92 square meters) and can be bought here. 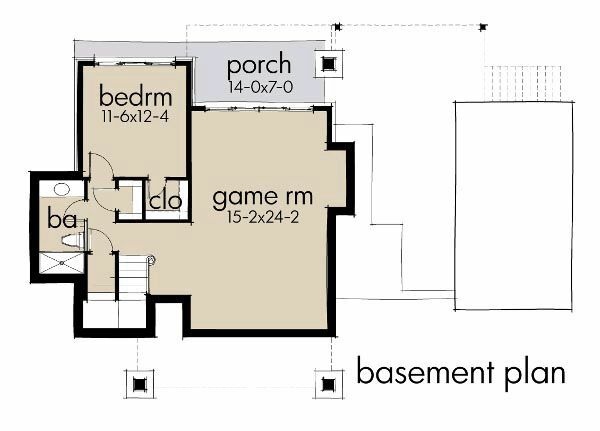 With three floors of space, the ground floor level offers a game room, bedroom, and bathroom. 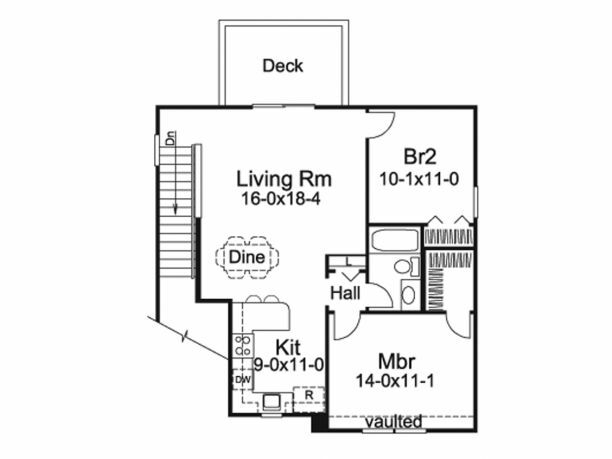 The second floor also offers a bedroom and bathroom. 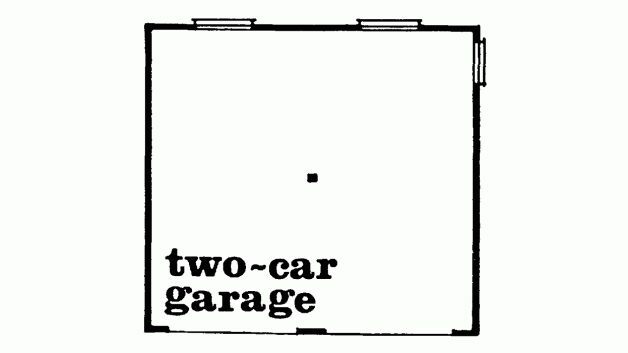 In the middle, the first floor has the garage with a single car bay, as well as a selection of spacious decks and covered terraces. 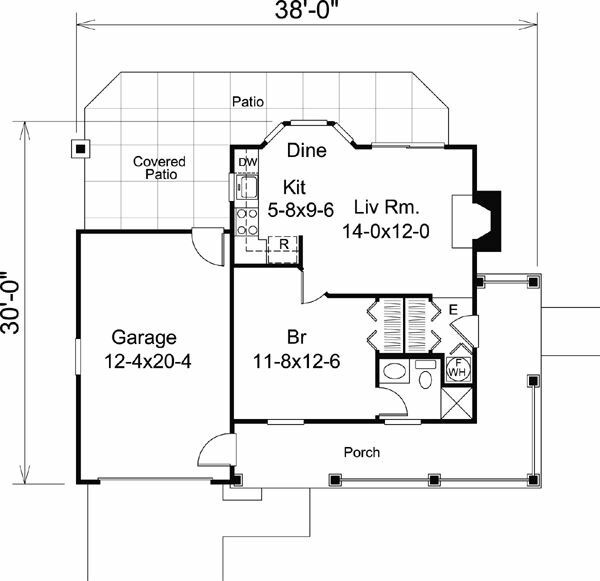 Inside, an open-plan kitchen, dining and living area is open double height for airiness and leads on to the master bedroom, ensuite and storage closets. 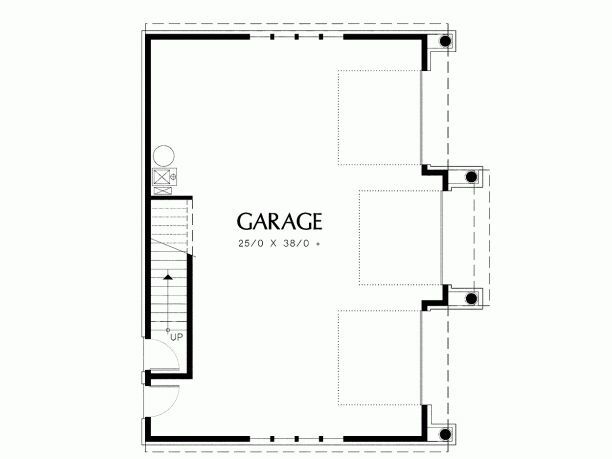 With living space coming in at 484 square feet (45 square meters) and available to purchase here, this property has room for two cars on the ground floor garage while the compact first floor holds everything needed for comfortable living. 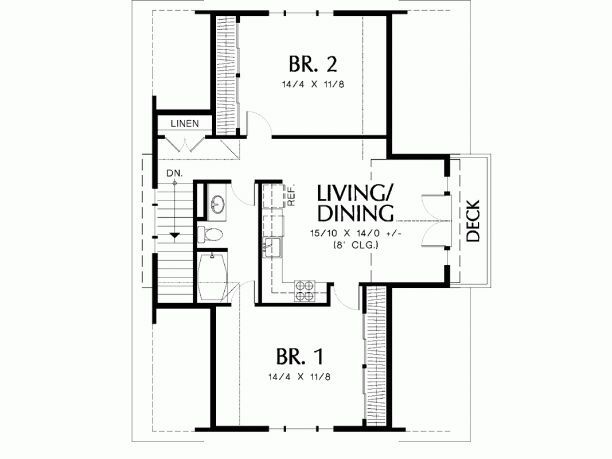 A double bedroom with built-in storage and access to the full-size bathroom also leads into the kitchen space. An open-plan living and dining area look out over a covered deck. 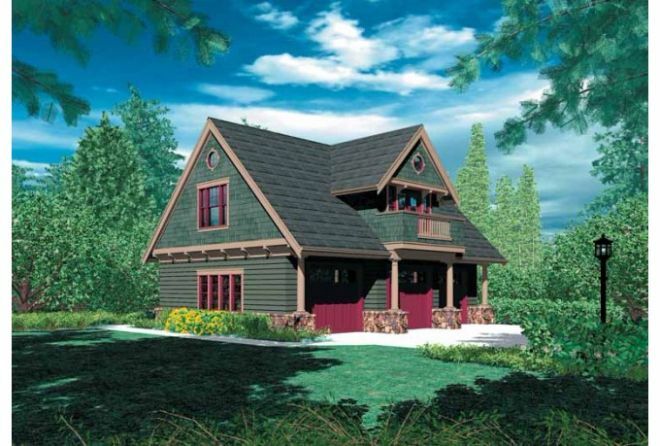 This colorful craftsman property comes in at 908 square feet (84 square meters) and is available to buy here. 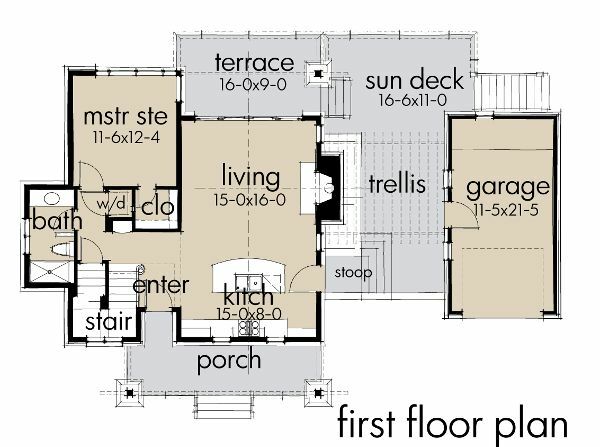 With the ground floor given over entirely to a three-car garage, the first floor is well-designed for a small family. An open-plan living and dining area focuses around the kitchen and looks out onto a private deck. 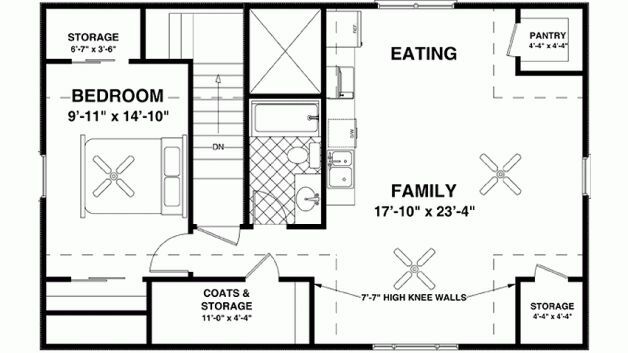 On either side, there is a double bedroom with built-in storage closets. The shared bathroom and extra storage cupboards are accessible from the hallway. Measuring in at 480 square feet (45 square meters) and available to purchase here, this delightful country cottage has all the space needed for comfortable living. 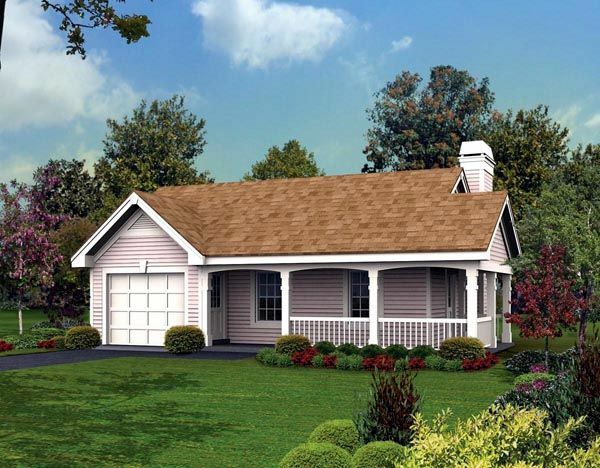 Perfect for a couple, the central bedroom leads out onto a wrap around covered porch for soaking up summer evenings. Meanwhile, the open-plan living, dining and kitchen area look out onto a private patio and include a feature fireplace. 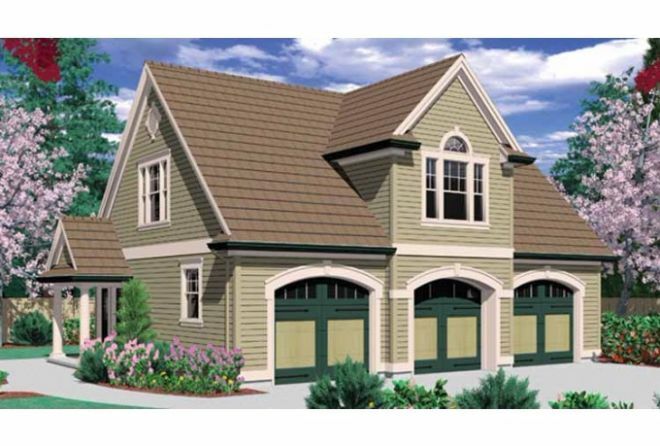 The large garage is big enough to store a car and provide extra storage for household items. 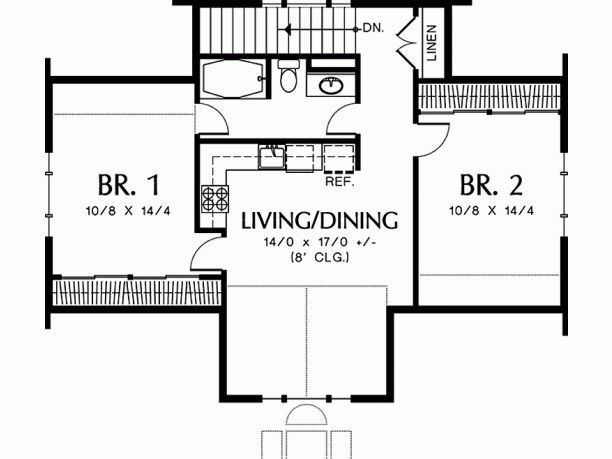 This lovely property is available to buy here and measures in at 792 square feet (74 square meters). 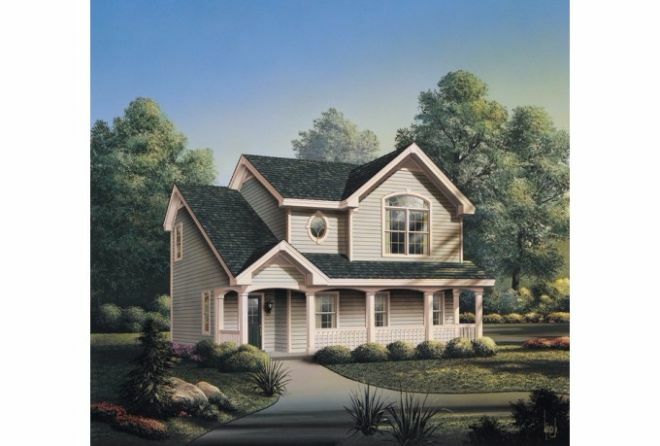 With a spacious two-car garage on the ground, as well as a beautiful covered porch area, entrance to the house proper is on the first floor. An open-plan kitchen, dining and living space has ample built-in storage options, including a pantry. The bedroom has a walk-in closet and space for a double bed, as well as easy access to the centrally located bathroom. This cleverly designed home over a large garage area measures 929 square feet (86 square meters) and is available to purchase here. 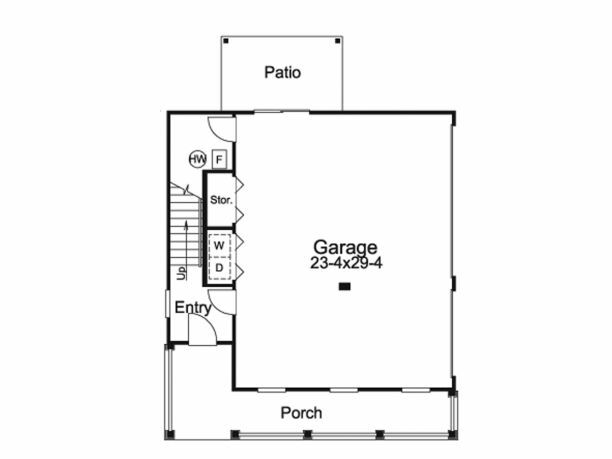 With extra storage and a laundry room adjacent to the garage, the first floor is completely free of clutter and ideal for a small family or couple. A large open-plan living, dining and kitchen area look out over a small deck. 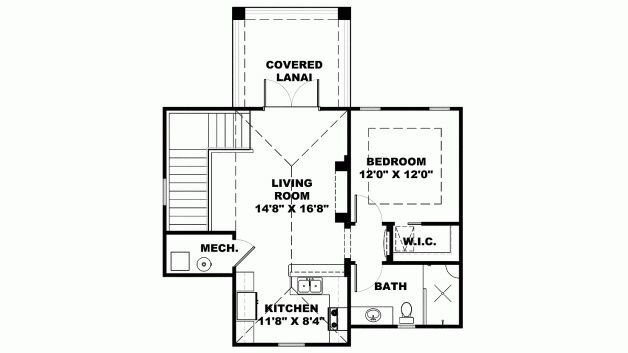 The master bedroom has a walk-in closet and easy access to the bathroom shared with the second bedroom.